Cracking furnaces in refineries operate under extreme conditions. 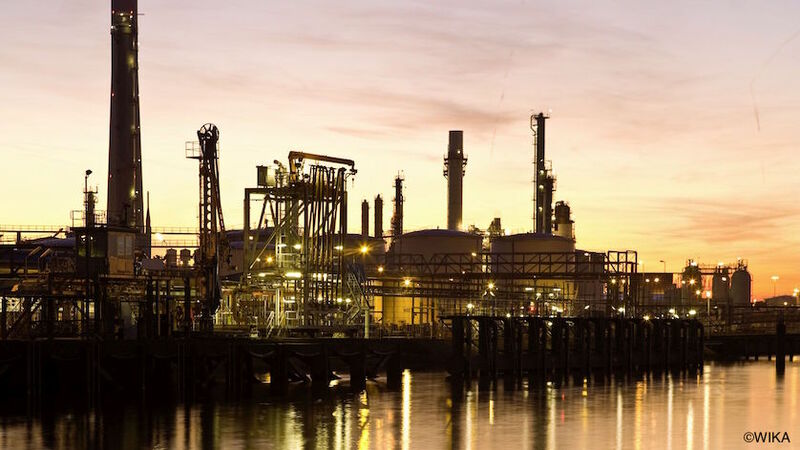 To perform at their best, hydrocracking units rely on sophisticated temperature measurement systems. WIKA USA offers a complete portfolio of accurate and reliable temperature measurement solutions for superheated applications. To produce high-quality fuels, refineries around the world use the latest-generation hydrocrackers, catalysts, and loading techniques. But those alone are not enough. Advanced temperature measurement, monitoring, and control are key to furnace and catalyst performance. Traditional devices and techniques cannot withstand the extremely harsh conditions inside cracking furnaces, nor do they provide the rich information refineries need to optimize conditions inside cracking units. Making the most of new technologies, WIKA continues to create innovative temperature measurement instruments to better serve clients. 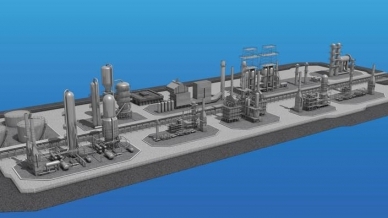 A collection of advanced products meets the exacting requirements of hydrocracking units. Even a 0.1% effective feed bypassing, caused by channeling or maldistribution, can tax the catalyst. The results? Too-high temperatures, too-wide radial temperature spreads, and product quality issues. The Gayesco Flex-R® radial multipoint temperature measuring system is a trusted solution used by refineries all over the world. Thermocouple sensors can be installed virtually anywhere, providing accurate temperature information that can help diagnose channeling, maldistribution, and other issues. Gayesco Flex-R® assemblies are extremely robust and dependable, some lasting almost 30 years before they need to be replaced. With more than 125,000 Gayesco Flex-R® points in service in more than 2,400 reactors worldwide, this thermocouple assembly has become the industry standard for optimal performance in cracking units. Gayesco Flex-O™ pipewell multipoint systems feature several thermocouples mounted on a bimetallic strip. This design allows for easy thermocouple replacement. The tip of the Gayesco Flex-O™ has very low mass, which translates into substantially faster response times than other pipewell multipoint systems. This temperature measurement device is ideal for gathering gradient temperature information in cracking units. A refinery furnace presents challenges for accurate temperature measurement. An unprotected tubeskin thermocouple registers heat information from not only the furnace tube itself, but also from the ambient environment. That’s why it is so important to shield a thermocouple’s measuring tip. The Gayesco Refracto-Pad® and Gayesco Xtracto-Pad® have a molded heat shield made of state-of-the-art insulation. This patented design ensures that the thermocouple does not pick up radiant heat. The Gayesco Xtracto-Pad® has the additional feature of a removable thermocouple, which eliminates additional welding when a thermocouple has to be replaced. This third-generation flame rod is a robust, low-maintenance solution for pilot light detection in hydrotreater, hydro-cracker, and FCC (fluid catalytic cracking) furnaces. The GFR-3 has been designed to withstand the extreme conditions of today’s high preheat furnaces. Indeed, it has become an integral part of many refiners’ furnace safety measures. WIKA also offers T-Bar multipoints, mini multipoints, single-sheath multipoints, and other products designed specifically for superheated applications like hydrocracking units. This complete portfolio of innovative products allows our engineers to customize cost-effective solutions for reliable temperature measurement in furnaces and catalyst beds. We back up our products with expert installation and unmatched customer service. Contact WIKA’s experts today to talk about the right temperature measurement solution for your application.